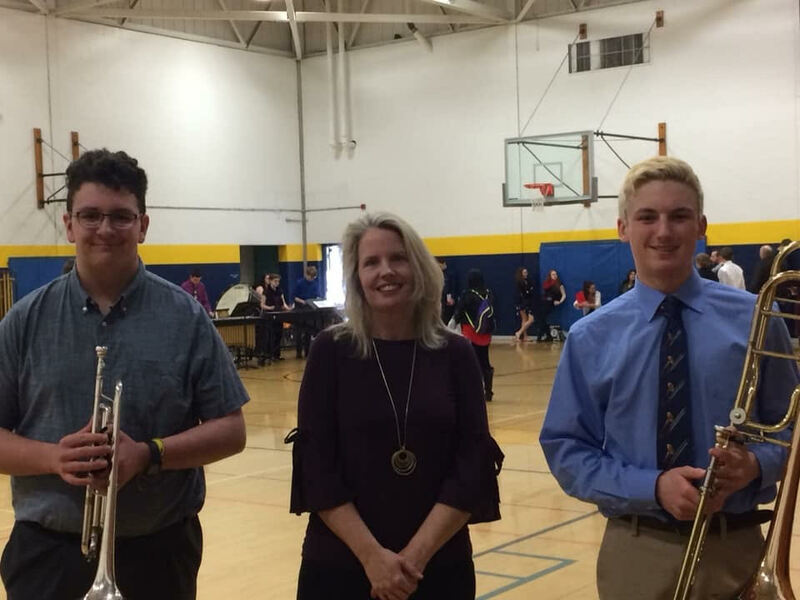 Congrats to Ben Sullivan and Kyle Pierce for their performances at the MSBOA State Solo and Ensemble Festival in Cadillac on Saturday, March 16. Students in grades 10-12 are required to play memorized scales and sightread to earn a rating. Ben received a score of 91 out of 100, and a Division I – Superior rating, for his performance of his solo, scales, and sight reading in proficiency 1. Kyle Pierce is in 9th grade and was required to perform a solo, and earned a Division II – Excellent rating. Both boys earned medals! Thanks to Carrie Selbee for performing the piano accompaniments and helping them prepare for the event.